The Dambula Cave Complex is the oldest and largest in Sri Lanka. 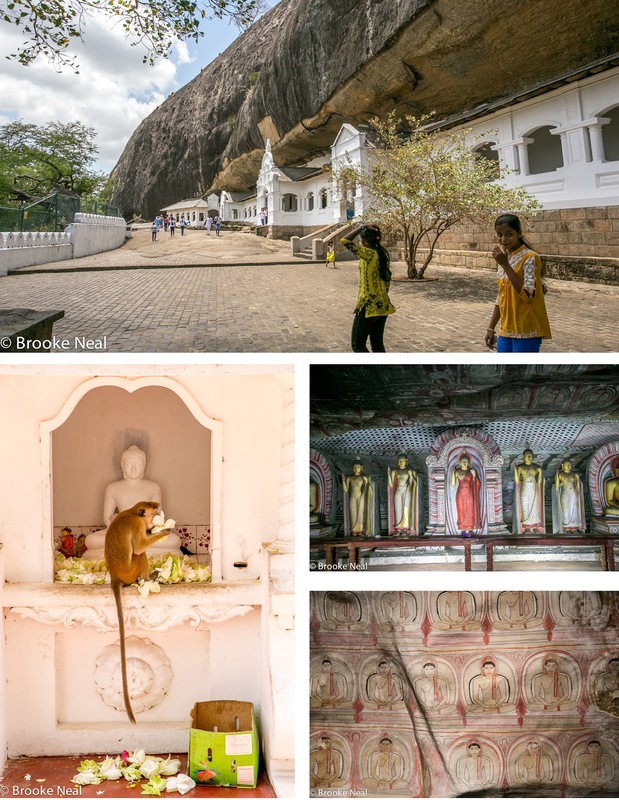 A site of veneration since the first century BC, the cave walls are painted with images of Buddha and other gods and house hundreds of statues. 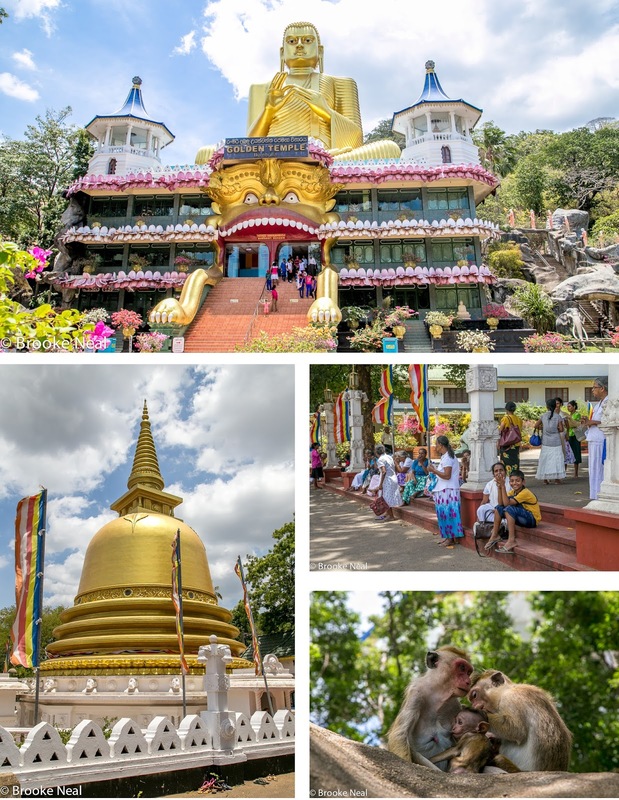 The world Unesco site is home to the most cheeky group of monkeys you ever did meet who will swipe food (or anything perceived as such) right out of your hands, so hold tight to your cameras and do not pull out your bag of snacks! You are asked to take off your shoes before entering the shrine and if you are a tourist, you are made to pay for shoe storage. It's a little irritating especially given the pavement is very hot and rocky. I would recommend taking a pair of socks to protect your precious peds. An amazing place to visit with so much detail its hard to know where to look! 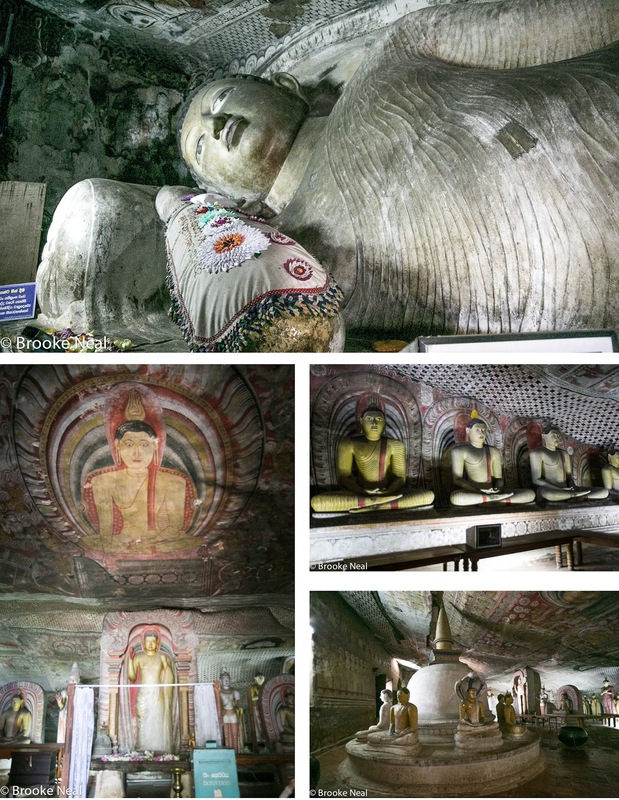 Your images of the Dambula Caves and the Golden Temple are amazing! I like being in my armchair and traveling with you! Happy Friday! The cave Buddah is the coolest! What fun adventures you are having! Amazing images! This looks like such an interesting place to visit - good advice about the socks! wow, these are gorgeous...how amazing to see...i love the way the buildings are built right into the mountain! thank you for linking to willy nilly! hope you are having a wonderful week!